The South Bay Lakers and the G-League are surging in popularity! Listen in as host Alex Tavernier bring you the latest from your favorite future Lakers stars. 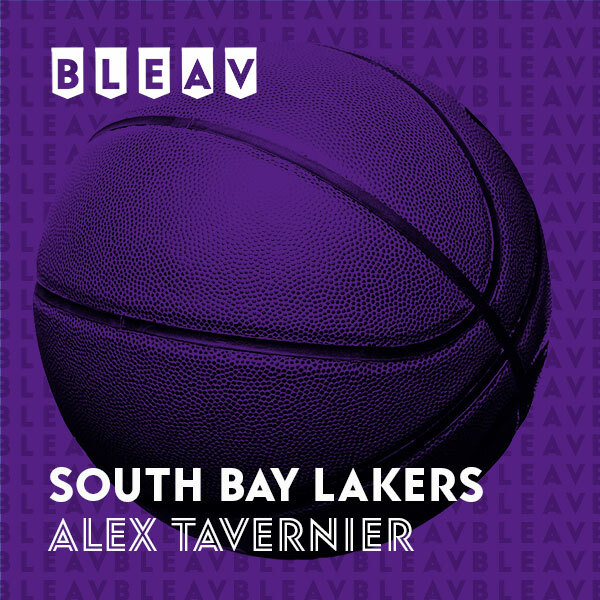 Like many of the prospects in the G-League, Alex Tavernier has spent his entire life in the sports industry, seeking a call up to the show. He has devoted time working in the statistical weeds for the Syracuse men’s Basketball Team, STATS LLC’s SportVU data system, the NBA G-League and coaching high school basketball. As a Hoops geek, Tavernier has a passion for identifying the unheralded players that deserve a chance and reminiscing over some of the forgotten players of the past. Join him as he dives into the in’s-and-outs of the South Bay Lakers and the other underappreciated points of the basketball’s minor league.